Our Utah dryer repair professionals are among the most skilled and experienced anywhere in the nation. We come to you, where and when you need us to repair your damaged appliances at a reasonable price. 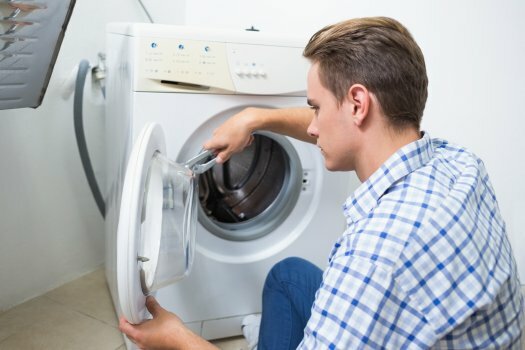 Washing machines and dryers often break down. The cost to replace these units can be thousands of dollars. Repairing a damaged unit almost always saves the owner a tremendous amount of money, and can be done very quickly in most cases. Performing regular maintenance on your dryer can save you money in the long run by extending the life of your machine, and reducing the chances for fires. A dryer can be particularly dangerous because when they are damaged or have built up debris in them, they have the propensity to catch fire. This puts the safety of everyone around in jeopardy, and can seriously damage your property. Call us today if you think your dryer may be in need of maintenance. The reason that dryers often dryer repair utahbreak down has to do with their design. Lint and fuzz is removed from your cloths and exposed to large amounts of heat. Both of these things are highly flammable, and can cause fire in the machine, in the lint screen, or in the ventilation shaft leading outside. Getting regular inspections can help keep you and your family safe. Signs that there may be trouble include cloths taking multiple loads to be fully dry, or the cloths never being fully dry. If this is the case, inspect the lint screen, and if there is a large amount of small debris caught in the tiny gaps in the screen, wash it out with water and allow it to dry. This should remove the small debris caught in the screen. If this does not help, remove the screen and look down the vent to see if there is fuzz and lint buildup there. If you have tried these steps and are still having difficulties. Please do not hesitate to call us. Our technicians are held to exceedingly high standards, and deliver professional results at a reasonable price. We have the experience to help your dryer last as long as possible and use as efficiently as possible. Driers that have a large amount built up debris inside are far less energy efficient, and can end up significantly raising the customer’s electric bill. This is especially evident when multiple cycles are required to achieve dryness. Front loading models also dent to be more energy efficient in general when compared to top loaders. This is in the nature of their design. These models can also hold more cloths inside. Filling the dryer to capacity also helps save energy because the same amount is used regardless of the size of the load. If you have any questions at all, or would like to schedule an appointment with one of our highly trained technicians call us today. We are the dryer repair Utah authority.